The National Society of Hispanic MBAs (NSHMBA) and the National Black MBA Association (NBMBAA) kicked off July with a pre-conference Salsa and Soul mixer at Copa on July 2. 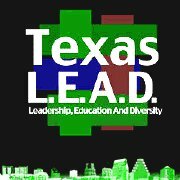 Both Austin chapters are gearing up for the 2010 Texas LEAD, the 8th annual professional development conference on leadership, education, and diversity taking place on July 30. The associations are anticipating over 300 attendees from Central Texas. There will be plenty of opportunities to network with executives, business owners, and other diverse leaders in the community. Exhibitors will be offering future career options and educational opportunities. Keynote speakers will lead discussions on the conference theme of “Innov8 to Win in 2010”. Breakfast speaker Sara Canaday will speak on “Personal Branding: Project Your Value Proposition” and, over lunch, Fenorris Pearson, author of “How to Play the Game at the Top”, will speak on “Innovative Leadership”. Dr. Stephanie Hawley from Austin Community College, on creating connections for career success beyond networking, business cards, and elevator speeches. Several speakers from Dell, Inc., including Tonya Young, Elsa Zambrano, Geeta Sachdev, and Sherri Outler, with moderator Jackie Young on developing professional skills to go internationally. A Hispanic Austin Leadership Panel, sponsored by the Greater Austin Hispanic Chamber of Commerce, to discuss the subject “Why Being in Touch with Your Culture and Your Clients and Co-Workers’ Culture is Beneficial to Your Career”. Panelists include entrepreneur and founder of KDE PR Boutique, LLC, Kesha Dirkson, President and CEO at Greater Austin Hispanic Chamber of Commerce Andy Martinez, Director of Marketing at Mopac Studios Prashant Kadam, and Director at Hahn, Texas Patty Gonzalez. Dr. Doug Dieking, from the University of Texas McCombs School of Business, will address sustainable leadership. Author of “Critical Choices that Change Lives”, Dan Castro, will give the audience tips on finding ‘the winner within’. Speaker Landon Hale, Senior Software Account Executive at Dell, Inc., will share with attendees on how Human Resource departments are tapping into social media to find out if candidates have the correct image for the job. Heather McKissick, President/CEO at Leadership Austin, and Dave Shaw, President of Russell/Shaw, will discuss building leadership skills though community outreach. For more information on the conference, refer to www.texaslead.com, or contact info@texaslead.com. The 2010 Texas LEAD will be held July 30 from 7:30am to 5:00pm at the J.J. Pickle Conference Center (10100 Burnet Road), with NSHMBA and NBMBAA hosting a post-conference happy hour mixer at 5:30pm at the Westin Hotel in the Domain.